La Closerie des Lilas, Hemingway's "home café" and the site of our first meeting with Papa in Paris, after which we'll enjoy an elegant meal to the sounds of piano jazz. We are getting very excited about our Papa's Paris Tour from June 17-25, coming up in 3 short months! Our rooms in the most charmant hotel in the Latin Quarter have been reserved, our menus are in the process of being chosen, our route has been laid out, and our playwright, Angelo Parra, has provided three delightful scripts starring Ernest Hemingway, Gertrude Stein, and F. Scott and Zelda Fitzgerald. A short list of actors has been chosen for the parts and remain to be cast in these four roles. What’s not to like! 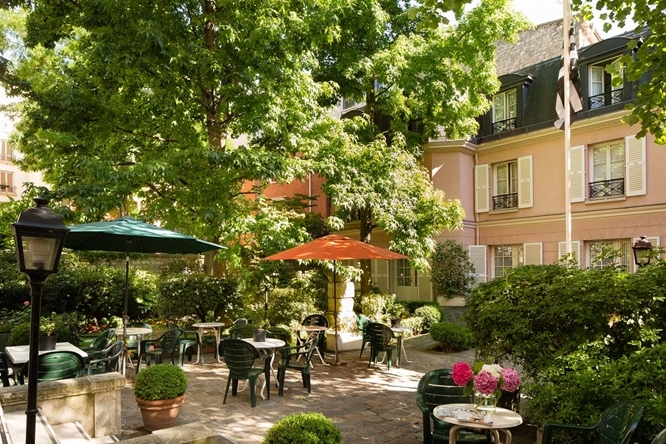 Our très charmant hotel, an oasis in the heart of the Latin Quarter. 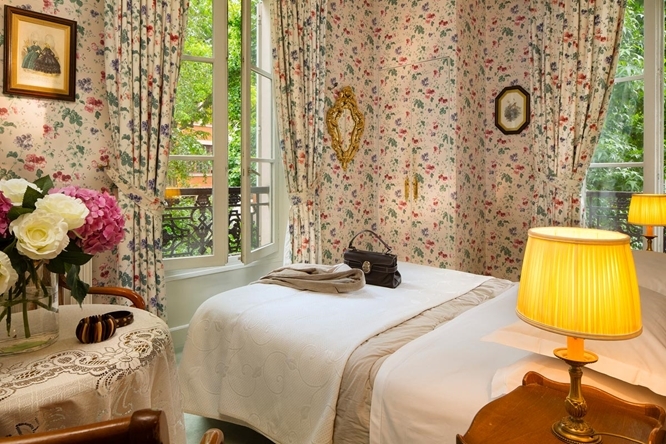 Our delightful hotel is right across the street from Hemingway’s first apartment in the Latin Quarter. 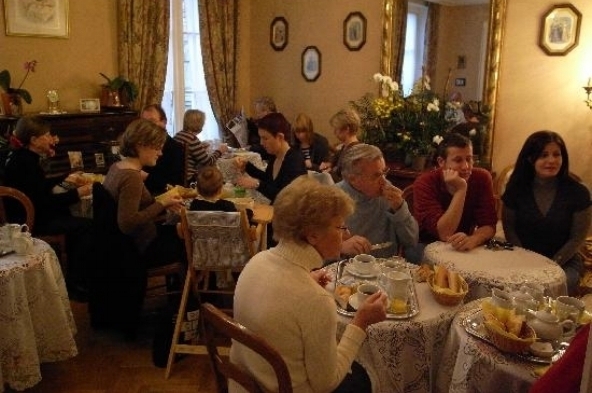 It has a regular clientele of mostly European guests who have been coming here regularly for years. I met one British lady of about my age (mature) in the garden reading a book, and she said she had been coming here since she was a child! Monet's "Blue Water Lilies" and photos of Monet's garden at Giverny. 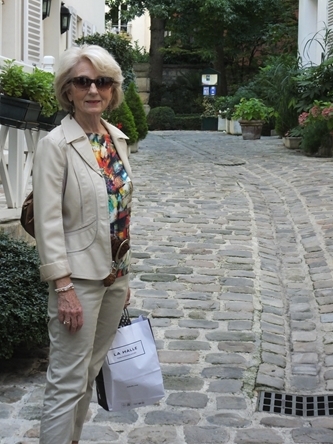 We’ll also take a ride on a train to the countryside of Normandy to spend an afternoon at Monet’s house and delightful garden in Giverny, since Hemingway loved Monet's art (who doesn’t?). The garden absolutely explodes with color in June! 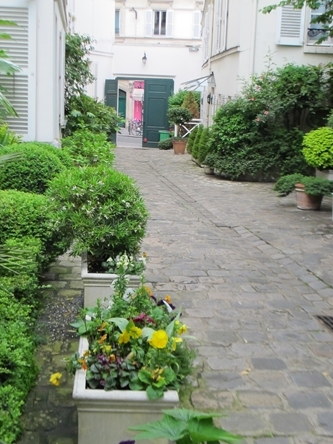 We’ll also visit the Impressionist Museum in Giverny where we’ll have a bite at their lovely café in their modern garden with the bamboos and grasses swaying in the wind. 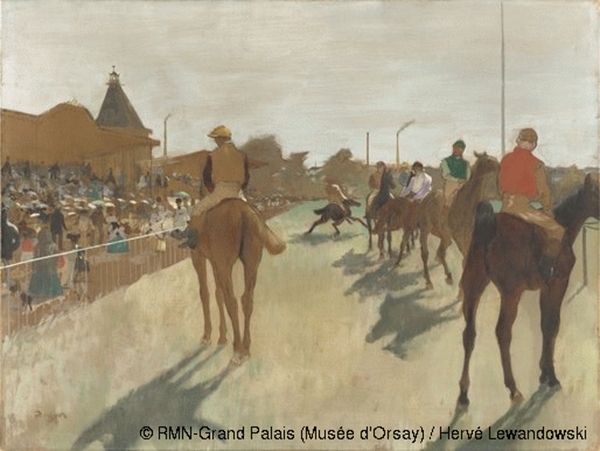 The Parade, Degas; a fan at Longchamp racetrack. 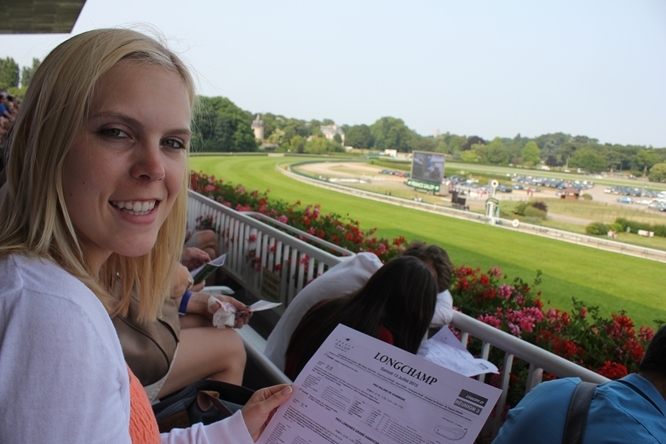 We’ll even spend a day at the races, since Hemingway dearly loved to play the horses. Perhaps that is why he said he was at times hungry in Paris! 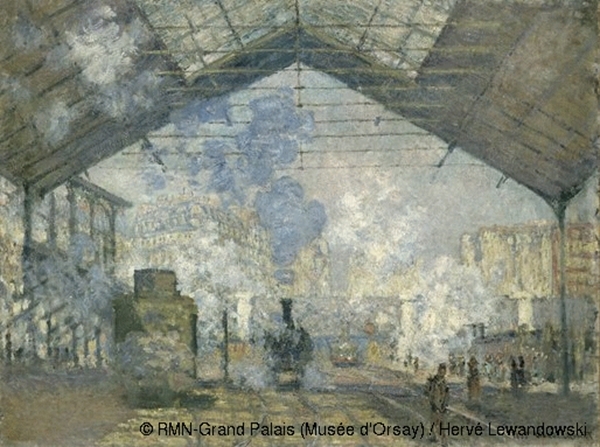 The Gare d'Orsay and the Musée d'Orsay; Gare Saint-Lazare, Monet, 1877; The Gulf of Marseilles seen from L'Estaque, Cézanne, 1885; Poplars, Cézanne, 1879-1880. Hemingway said that the Cézannes he saw and loved in the Luxembourg Museum gave him insight into how to add dimension to his prose. 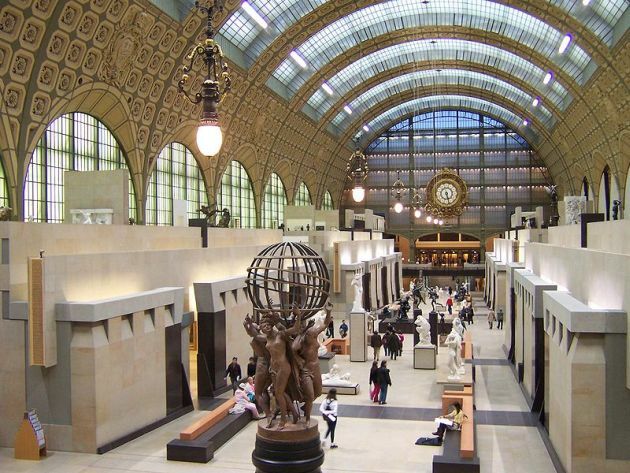 We’ll see these very same Cézannes at the Musée d’Orsay, an elegant light-filled museum created out of a former train station, the Gare d’Orsay. This station was the one from which Jake Barnes and his friends departed on their way to Pamplona in The Sun Also Rises. View of the rooftops of the Marais district through the wavy old glass of the Picasso Museum. 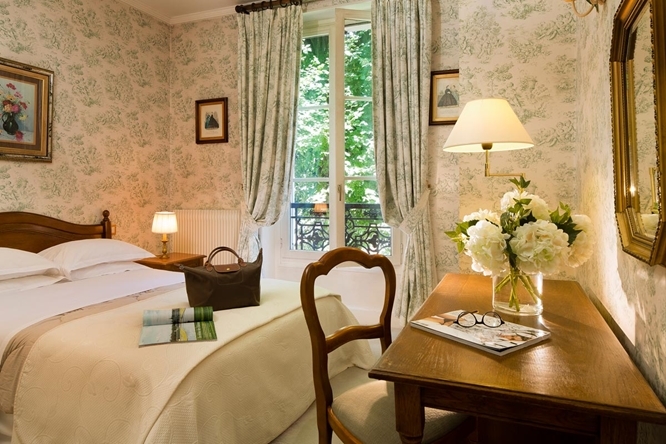 And we’ll visit the Picasso Museum, dedicated to Hemingway’s good friend, in the trendy Marais district of Paris, do some lèche vitrine (licking the windows, i.e., window shopping), and have a bite at a cute neighborhood café. Scenes from Harry's New York Bar, including the downstairs lounge where Gershwin composed "An American in Paris" at the piano. Let's not forget the nightlife! We'll dine, drink, and listen to music where Papa did. These are just a few of the sights we’ll see on our Papa’s Paris Tour. We would love to have you join us! Save $304 if you reserve by April 1. No foolin'!